Had he not gone for a swim on this day in 1973, István Kertész would have been due to turn ninety this year. After a brilliant spell with the London Symphony Orchestra, Kertesz was the favourite to succeed George Szell at Cleveland when he went for a swim on an April day in Herzliya, Israel, and got carried off by a rip-tide. Pointless to speculate what might have been had he stayed on shore. His Decca recordings of the Dvorak symphonies remain the benchmark performances. I was once caught in a rip tide in Hawaii and it was the devil getting out of it (I was young and fit but exhausted when I got to shore). Sad, he was a great conductor. What also strikes me is how many Hungarians became great conductors. For a small country, it has certainly turned out many fine ones, including one of my favorites, Eugene Ormandy. Cleveland was mentioned, but I also recall reading – I don’t remember where – that Ormandy considered stepping down in the late 60s and that he spoke with Kertesz about replacing him in Philadelphia. Your comment reminds me of a wonderful Philadelphia/Kertesz concert I attended at Saratoga one Saturday night in 1969: Mozart’s Symphony #33, Kodaly ‘Hary Janos’ Suite and the Brahms Violin Concerto with Szeryng. It was a tough choice. The same night at Tanglewood, Boulez was making his debut with the Boston Symphony. Those were the days…….. Same thing happened to me as a teenager. Had I not been as fit as I was then the outcome might have been very different. And Chalabala for the tone poems. And Talich for the piano (Maxián) and cello (Slava) concertos. Oh yes, and his Bluebeard Castle with C. Ludwig, Berry and LSO. István Kertész, please. That makes a very big difference in Hungarian. I still listen to and enjoy the Dvorak set. Thanks for remembering him. Szell died in 1970 and Maazel was already in Cleveland in 1972, an year before Kertész death. 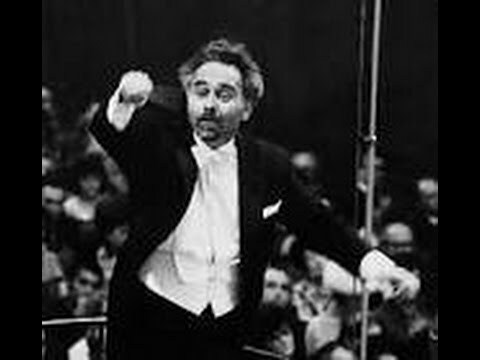 I have read – source not verified – that the Cleveland musicians wanted Kertesz but the management chose Maazel. Supposedly the musicians of the CO voted 97 to 2 in favor of Kertesz over LM. Although I slightly prefer the Szell/CO recordings of the Dvorak 7-9 to IK/LSO Kertesz’s recordings, the recording of the 6th is for me seminal and I suspect largely responsible for it’s inclusion in “mainstream” repertoire. The Dvorak 6th and Brahms Serenade No.1 with the LSO combine the very best qualities of orchestral playing that include virtuosity, a sense of spontaneity and pure joy. There appears to be a live 1968 recording of the Mahler 2nd with IK and the Cleveland Orchestra which appears to offer a hint of what might have been. I clearly wish he had succeeded George Szell! Actually, the musicians voted for Fruhbeck de Burgos instead of Maazel in 1971, and Szell had been deceased for 18 months. My late friend on the Cleveland conductor search committee told me that IK was their 1st choice. They were completely shocked when management announced to them over champagne that LM had been selected. BTW, my 2 favorite Dvorak 7-9 sets: Szell/Cleveland and Sawallisch/Philadelphia. Ormandy also did a fine job over the years with the 9th. I remember reading somewhere (prior to Kertesz’s death) that the Cleveland musicians had voted for him 98-2 and some wag had suggested that Maazel’s first act should be to fire the two who’d voted for him, so the orchestra would be unanimous. The “wag” was Erich Leinsdorf. I am surprised nobody mentioned his Schubert cycle yet – still one of the best recording of all Schubert’s symphonies on the market. Certainly a great conductor! I am grateful you did. I just sampled the VPO/Kertesz recording of the Great Symphony and was deeply impressed. His “Unfinished” from that set is one of the best. I recently found in Tokyo a nice live set of him with the LSO doing DSCH5, Introduction & Allegro and the Egmont overture. Worked with him once during my early years on the Minnesota Orchestra staff. Great musician, fine man and a terrible loss to the music world at an early age. Indeed he was, David. He conducted Dvorak (Symphony No. 7, wasn’t it?). As I recall, he got such fine playing from the orchestra without a hint of bossiness or ego. He did not often come to the RO…but was mentioned around as a possible successor to Solti, I seem to remember. He did a fine Falstaff there in the late 1960s. That’s how that set sounded to me, too. The Rowicki/LSO set is far more exciting. There are several funny Kertesz stories in the Georgiadis book. I waiting for the Georgiadis book to arrive and wondered if he might have anything to say about Kertesz. I wonder what he means by ‘technical errors’. Yes, JG was “too nasty for Szell”. I was on the library staff of the Philadelphia Orchestra in the late ’60s and remember Eugene Ormandy’s admiration for Kertész. I think there were many reasons for that. Had he lived, Kertész probably would have been the orchestra’s next music director. I had the good fortune to hear Eugene Ormandy and The Philadelphia Orchestra on three different occasions in the 1970s at San Francisco’s War Memorial Opera House. I have always believed that those occasions blessed me with the most beautiful musical sounds I have ever heard. Any more memories you might care to share about Ormandy would be most welcome. Me, too–especially anything involving my namesake. In addition to his recordings of the Dvorak Symphonies, I have the Dvorak and Mozart Requiems conducted by him. He would have been a perfect successor to Szell in Cleveland. I believe he had also been named music director of the Ravinia Festival in Highland Park, IL. James Levine was invited to guest conduct the CSO as a replacement and later became music director of Ravinia. Meanwhile, there’s been no mention of this year’s Pulitzer Prize for Music. Why not? I remember when I heard a recording of his Miraculous Mandarin with the Chicago Symphony from 1967. It became and still is a favorite. Everyone is entitled to share their opinion(s) regarding the merits of IK’s conducting career. Speculating in this space, without meaningful corroborating evidence, about the circumstances of his passing is reckless, irresponsible and cruel. His wife has passed away but I assume his 3 children are still living and don’t deserve to happen upon your post. Richard Morrison has written in the past that there was a scandal involving an underaged girl and the British Embassy having to spirit him out of the U.S. I wonder if that may have led to his death. As great as Kertesz’s Dvorak symphonies recordings are (and I especially like his rendition of the Sixth) I would not dismiss Rafael Kubelik’s Berlin Philharmonic cycle. I know John Culshaw called Kertesz’s death a ‘ridiculous drowning accident’ adding that ‘he was a strong swimmer but too confident.’ Having been caught in a rip tide myself, however, I can only think of the terror the conductor must have suffered. Thankfully there was someone in a boat who noticed I was in difficulties and came and rescued me. I have never felt so helpless! I was absolutely exhausted when my rescuer planked me back on dry land.